The availability and pricing of the products displayed on this site are subject to change at any time and without notice. 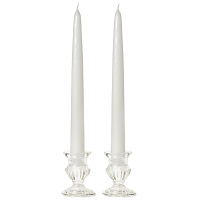 Keystone Candle is not responsible for any typographical errors which are related to the price, size, or description of an item. Prices for products displayed on this website may not reflect the prices set for the same products in our outlet store or other retail stores who carry our products. All specials, sales, coupons, and discounts apply only to retail orders, not wholesale orders unless specifically stated otherwise. Sales and discounts only apply to orders placed online unless stated otherwise. Any specials and discounts that are valid in our outlet store apply only to in stock items and not to special orders. We are available 9:00 am - 5:30 pm (EST) Monday - Friday and 9:00 am - 5:00 pm on Saturdays to take orders over the phone. Call us at 717-564-2220. Our fax machine can be reached 24 hours a day, 7 days a week at 717-564-2035 if you wish to fax an order to us. The goal of Keystone Candle is to provide friendly customer service, quality candles and accessories, and fast shipping to our web customers. If an order is placed for an item that we have in stock we will usually ship the order out within 1 to 2 business days. If we have to make or order in an item which we did not have in stock we do so as promptly as possible as to not hold up your orders. If the out of stock item is a candle product we can usually restock that item within a week. If the item out of stock is an accessory it may take a little longer. Our regular shipping method is FedEx ground although we may also use USPS under certain conditions. 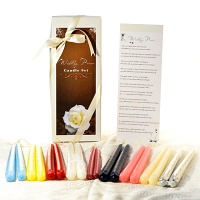 If you need your order by a certain date, such as for a wedding or other special occasion, please include the date you need the candles in the comments box during checkout. We do have the capability to ship orders out 3 Day Select, 2nd Day Air, and Overnight. The reason these options are not available directly through the shopping cart is because we do not have an up to date stock feature on our website and therefor may not always be able to ship orders with faster shipping requirements. If you have orders that need to be rushed please feel free to call us to make sure we can get your products to you when required. We are happy to talk to you. For wholesale accounts, the shipping charges estimated on the website will be adjusted to the actual shipping charges. For the contiguous 48 states, our shipping rate is based on the weight of the order and the zip code where the order is being shipped to. You can add items to the cart, select your state, and enter your zip code to see the shipping costs prior to proceeding to checkout. For all other destinations we will email you your shipping quote for approval prior to sending out the order. If you are outside the United States we are happy to ship items to you. You can order through the website and we will email you the shipping quote. The shipping cost does not include any import duties, custom fees, or taxes that you may accrue from your country. Actual candle colors may not be exactly the same as shown on your computer monitor. Colors will vary slightly between dye lots. If color is an extremely important factor you may send us a color swatch. We will evaluate our colors and contact you with the closest options. Please include a valid email address and phone number with your swatch. Refunds will be given for returned merchandise only if authorization was approved. ACTUAL shipping charges will not be included in the refund amount . Refunds will not be given for damaged or used merchandise. If there is damage to the package noticed during receipt of the order please inspect the items with the carrier driver. Have the driver note the damage. If the damaged is noticed and the driver is not there, that is ok, call to let us know of the damaged products so we can get your replacements out to you. Keep the damaged items for at least 5 business days in case there is an inspection needed by the carrier.